On a recent trip through the Huguenot tunnel I had to stop on the side of the road in order to capture the clouds that were rolling over the mountains. 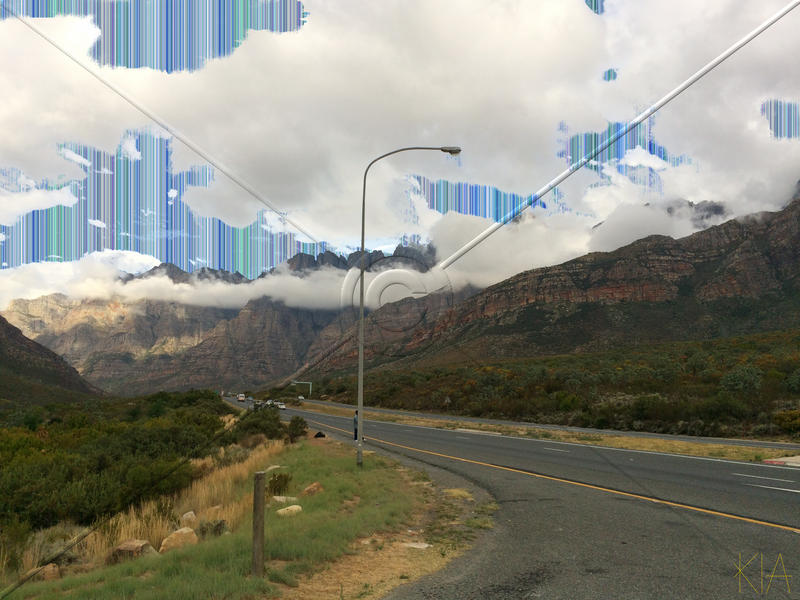 I stopped at the road to the Du Toitskloof Resort and Trout farm. This resort is somewhere that I would really like to stay at and having researched it a little I definitely want to stay. Interestingly I found out that a lifestyle estate is being developed on the site and more info can be found here. The Du Toitskloof peak is the highest in the Western Cape and is a barrier between the sea and the inland. The mountains are made up of Table Mountain Sandstone and are part of the Cape Fold Mountains. The Cape Fold Mountains act as a rain shadow, the wettest parts of the Mountains can receive 1,500 millimetres (59 in) of rain, Worcester (approx. 35km from the Du Toitskloof Resort) receives only around 200 millimetres (8 in). The clouds that creep over the mountain push up over the mountain and often you can go from a completely overcast day in Cape Town to no clouds as you get through the tunnel. The creeping clouds show how the topography of the Cape affects the weather and remind me of how amazing life is. Magic Fountain of Montjuïc was so super cool! What a day in Barcelona. There is so much to see and do!!! @basilicasagradafamilia was absolutely amazing can't wait to return in 2026 when it is complete. A Sunday stroll through the streets of Granada. So much to see! Quite a long day today exploring New York. From the Financial District to Chinatown. Italian foot with my cousin Craig and walking 21km it was a pretty good day!! !